On Monday night after taking my Mom for her eye appointment at Duke, we had a pre-birthday dinner for me at one of my favorite restaurants. My husband, my Mom and Dad and my sister went with me to eat. It would have been complete if my sweet girls, son-in-law and Adelaide's boyfriend could have joined us too! This is my mini mousse birthday treat!!! One of my favorite things is DESSERT!!!!! In case you haven't figured it out by now, I LOVE sweets!!!! At this restaurant (Southern Lights), they serve a "mini" dessert for just $1.50. I love them, because it just gives you a taste of something sweet after your meal, without getting so many calories! I chose chocolate mousse, but they have lots of other yummy choices. They all come served in a glass that looks like a shot glass. My beautiful "older" sister. We are 11 years apart. Love you Sis!!! So glad we can be with each other and celebrate together this week. I love spending time with you!!! Can you believe that my Mom, my sister and I all wore the same colors today? We didn't plan it that way, it just happened. All day while we we are at Duke with Mom, people commented about us being color co-ordinated. So funny!!! Turquoise and blue are my favorite colors!!! My sweet Mom and Dad!!! Love you guys. You are the greatest and have been the most wonderful parents! Mom got a great report from her eye doctor at Duke! Her "bad" eye has not changed and her "good" eye has almost perfect 20/20 vision. Praise God! More fun is in store for today and I have received so many calls and emails already this morning. Adelaide texted me right after midnight on my birthday and Lauren was first in line to wish me HAPPY BIRTHDAY this morning. Love you girls. Wish you were here! I get to be off work this week, since the family I nanny for is on spring break! I love my job so much and I have an awesome family to work for, but I am looking forward to the week off and some much needed rest and relaxation!!! As you know from my lack of posts since Christmas, I have been going full steam ahead. It will be nice to have a fun week to do some things for "ME"!!! My sister came down on Sunday and will be here until Thursday and I am so looking forward to our week together! We spent our first day doing a little bit of shopping.... Stein Mart, Goodwill & Big Lots. Followed by dinner at one of our favorite pizza restaurants, Elizabeth's. On Monday, we will start out taking my parents to breakfast. (One of my Dad's favorite things to do!) My sister and I have to take my Mom to see her eye doctor at Duke Hospital. On the way down there we are stopping at another favorite Goodwill. Can you tell that we love to thrift? We are packing a picnic lunch to eat when we get there and her appointment is at 1:00 pm. On the way home we are stopping in Burlington, NC at a new thrift store that is operated by Hospice. I have seen the ads on TV and it is huge!! I can't wait. We have dinner reservations at one of our favorite restaurants, Southern Lights, on Monday night and my Dad and husband will join us. On Tuesday, us gals are going for manicures/pedicures and then taking my Dad to lunch at another favorite restaurant, Lucky 32. After lunch I have to go get fitted for clothes that I am wearing in a fashion show later in the month. I will post about that later. For dinner on Tuesday night we are going Mexican. My Dad LOVES Mexican, especially the margaritas. We are also going to a yummy dessert place, called Maxie B's for cake. I forgot to mention that Tuesday is my birthday. I think the whole week is going to be a celebration! Aren't birthdays fun? On Wednesday we plan to have another fun day of shopping and eating, but we haven't totally decided on our itinerary yet. That night, the 6 ladies from my old church, who I have been friends with since our children were born, are all going out to dinner for my birthday. My sister is going with us too. We are going to an Italian restaurant called Bravos. On Thursday we are going to Kernersville to do some more thrift shopping and we are eating lunch at Miss Pegg's Tea Room. Then I am sad to say that my sister will be leaving to go back home. She lives about 2 hours away in the mountains. It is still winter there and she was so excited to see the daffodils and flowering trees blooming. It really looks like spring here in my city!! I am so glad. If any of you have sisters, you know how much fun it is to spend time together! We will both enjoy spending time with our parents, as well. Although Mom and Dad are both getting older, they still enjoy time with family and doing special things. These memories of our week together will be special to all of us. In the picture above, I am on the left, my sister is in pink in the middle and that is Mom on the right. Bless her heart, Mom NEVER smiles when you try to take her picture. I don't know what is up with that. Oh well. She always has a puzzled look on her face. Have a blessed week! I am sure enjoying this taste of spring weather. It was 77 here today on my car thermometer. On Monday it is only going to be in the low 50's though. We are still on a roller coaster ride with our weather. Oh well, at least it isn't snowing! Enjoy your week and if you have a sister, think about all the fun times and the great memories you have shared with each other!!! What's on my mind today! Since I have been AWOL from blogging for a bit, I thought I would copy the items from a Simple Woman's Day book that some of you post and comment on them. I love reading these posts on other people's blogs! OUTSIDE MY WINDOW... it is pouring rain! But it could be worse. Up in the mountains where my sister lives, it is snowing today. I am so ready for spring, so I hope we don't get any more snow. My daffodils are in full bloom, the trees are budding out, forsythias are blooming, etc. And we have had some warm weather too recently. Although one week it will be really nice (highs near 70, but then the next week it will dip back down into the 50's). Oh well, hopefully the worst of our winter cold and snow is over and spring is just a short time away. I AM WEARING.... a pair of black slacks, a bright colored cardigan sweater with a tank top underneath and my pearl necklace and earrings. Since it was raining this morning when I went to church, I just wore pants instead of a dress. I AM REMEMBERING.... how much I love spring time. I am not a cold weather person, so I always look forward to spring and then afterwards, the arrival of summer! In the city where I live, we have such beautiful dogwood trees, azaleas, daffodils, tulips, etc. and the city is gorgeous in the spring time. I love being outside and look so forward to the warmer weather. Don't forget that the time changes next weekend. I AM READING... Crazy Love by Francis Chan. It is a wonderful book to inspire us all to be more passionate in our love for God in our everyday lives. I would highly recommend it! I AM HOPING.... that my youngest daughter, Adelaide has a wonderful time on her spring break this week. She is on a cruise with 7 of her sorority sisters for some much needed rest and relaxation. Where she is in school, they have had a terrible winter with lots of snow & cold weather, so they were all ready for a break from the cold. Bon voyage, sweet girl! ON MY MIND... are my aging parents. My Mom will turn 87 in April and my Dad will be 90 in June. As I have stated previously, I am having to spend more and more time with them to help keep them independent and living in their own townhouse. It is so hard to see our parents aging and for the roles to start reversing. Us as the parents and them as the children.... I am just so thankful that I am close by and can help out. I will certainly cherish those memories of times spent with them, although they can prove challenging at times. AROUND THE HOUSE.... there are always more things to do than I ever have time to do anymore! That seems to be the story of my life these days. My "to do" list is a block long, but I'm just not stressing about it. Right now I prefer to spend my time with my family and friends and if things don't get done here at home, the world is not going to come to an end. Last year, I did get my upstairs cleaned out in preparation for getting new carpet and that makes me feel so much better and more organized. My project this year is tackling my basement (which would be like your attic). Mine is a mess! My new favorite word is "Simplify". I am trying to do away with everything that I don't use or need. I am tired of all the "stuff". PLANS FOR THE WEEK.... include working from Monday until Thursday (my usual work week). I am having dinner on Tuesday night with 3 of my girlfriends. I will spend time with Mom and Dad this week. Friday night I will be going to my card making class. I love making hand made cards! ONE OF MY FAVORITE THINGS.... is milk glass. My dear friend introduced me to milk glass and I have been hooked ever since. Sherian had a shower for Lauren when she got married and everything used for the shower was milk glass. It was gorgeous!!! I since decided to start my own collection and have been collecting ever since. I have found some of my best pieces at Goodwill. In my hunt for milk glass and also my love for old things, I enjoy going to thrift shops and yard sales. CSN Stores has graciously asked me to work with them to review one of their products and I will be so thrilled to do so! Never heard of CSN???? CSN offers an amazing array of products, from swing sets to chandeliers. I'm sure they have something to fit your needs. As you can see CSN has ANYTHING & EVERYTHING that you could ever want! ***They have hassle free returns & FREE shipping on just about everything!!! I'll be back to do a review soon. Be sure to keep an eye out for it, and in the meantime, be sure to check out their website. Love & blessings from NC! In the winter I love to wear my Dansko's. I have a black and a brown pair. Well guess what? Today I decided to add a little excitement to the day and I ended up wearing one of each!!! Didn't I just mention in a past post how busy I have been lately? I know I have totally lost it now!!! I had to be at work today at 7am, so I was up and out of the house really early. I had my shoes in the hallway and just ran by and slipped them on in the dark and took off out the front door. I got to work (remember, I am a Nanny) and proceeded to do my usual morning routine at their house. The Mom was there, but was busy doing her thing trying to get the oldest child out the door. We talked, but she or the children never noticed my shoes. I took the youngest child to pre-school and WALKED in the building! No one noticed my shoes or if they did, they were polite and didn't say anything. I then went to the dry cleaners and it is one that you walk in to (not a drive-through). Again, no one mentioned my shoes. From there I went to the grocery store and was there for about an hour. Still no comment from anyone about my shoes. I had not noticed them either! LOL!!! After grocery shopping, it was time for my morning Bible study group. It was while we were discussing our book, Crazy Love by Francis Chan, that I looked down and noticed that I had on two colors of shoes. I pointed it out to everyone and we all had a good laugh!!! And believe it or not, every lady there admitted to having done that at least once in her life. I am amazed at God's sense of humor and how He brought laughter and smiles to our Bible study group this morning through something as simple as my mismatched shoes! Adelaide turned 22 on Monday, January 24th! I can't believe my baby is that old. It just seems like yesterday that she was born. What a joy she and her older sister, Lauren, have been in my life! I am so blessed to have such wonderful daughters, who are as beautiful inside as they are outside. I am so happy to be their Mom! I hope you had a wonderful day, Adelaide and I'm sorry we were not able to be together! I look forward to celebrating with you real soon. (For those of you who don't know, Adelaide is a senior in college and will graduate in May!) Where have these past 4 years gone? HAPPY BIRTHDAY sweet girl!!! I love you! Hey everyone, I'm sorry for not posting in FOREVER, but I have just been a bit on overload since early December and blogging has had to take a back seat. Nothing bad....just more on my plate than I could handle. Not enough hours in the day! I hope you all understand. This picture was taken of our family on Thanksgiving day. From left to right is our son-in-law Thomas, our oldest daughter Lauren, my husband Tom, our youngest daughter Adelaide and me. This is my parents when we were attending a local church Christmas musical this year. I am so blessed to have Mom and Dad in my life, but they are really requiring more and more of my time to function on an every day basis. I am not complaining at all, but with working full time and helping with their care, it has really taken up a huge portion of my time. My Mom is almost 87 and my Dad is almost 90. With Christmas thrown in and other family commitments, plus 4 friends who each lost a parent, I felt like I was on a roller coaster that wasn't ever going to stop. Something had to give and I just decided to quit blogging for a bit. I needed to get reorganized and focus on some of these other things in my life. 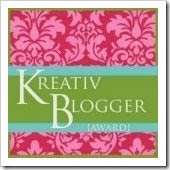 A big THANK YOU to all of my sweet blog friends who sent messages, emails, etc. to check on me and make sure everything was OK. I read some blogs on occasion and commented when I could, but not as much as usual. I sure appreciated your thoughtfulness! Thanks so much!! 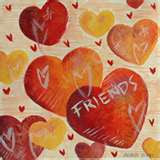 I love all my blog friends and I have missed you all. Our family had a nice Christmas and for the first time since 1969, we had a white Christmas. We received between 6 to 7 inches of snow on Christmas day. I took this picture on my deck rail in the back yard. This little snowman measuring stick was made in my pre-school class many years ago, but I still love using it when it snows. I love the house blanketed in snow. I put wreaths on all my windows with red bows. You can't tell from the picture, but I burn a single electric candle in each window on the front and the back of the house. There are also 2 lighted reindeer and a spiral Christmas tree next to the front door. I love to fly decorative flags and this particular time I was flying Santa Claus! For those of you who don't live in the North Carolina area, we have had 3 major snow storms here in the past month. Needless to say, we are all looking forward to spring! Enough snow!!! They are calling for possible precip on Wednesday, but I am hoping for just rain. Work for me has been a bit crazy too, recently. The week before Christmas, the family I work for had an older daughter who got married out of state, so that made things busy! Then these past 2 weeks at work, both of the kids have been sick and now the Dad has pneumonia. I am just praying that I stay well. This past weekend I was fortunate to be able to get away for a ladies weekend with some of my girlfriends for some much needed REST & RELAXATION. It was most welcomed and I enjoyed my time away so much. Now maybe I can regroup and get on with life. God may throw us a few curve balls every so often, but He promises us that He will never give us more than we can handle. 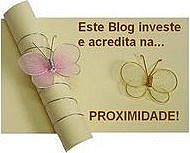 Life may be BUSY, but it is GOOD and I am glad to be back with you all in the blog world!!! I have missed you all. Enjoy your week. OUR LIVES ARE THE ONLY BIBLE SOME PEOPLE WILL EVER READ! I am a 57 year old Mom adjusting to my new life as an empty nester. I love the Lord!!! I taught pre-school for the past 16 years, but I am now working as a Professional Nanny and I am loving it!!! I love anything blue. Christmas is my favorite holiday and I collect Santas. I also collect Noah's Arks and angels. I am a Southern girl and I love sweet tea and desserts!!! My hobbies include quilting,knitting, scrapbooking, making cards and just about anything "crafty". I love thrift shops/yard sales and searching out those special "treasures" for my home! My 2 daughters are the JOY of my life and I love spending time with them!!! I married my high school sweetheart and we have been married for 34 years! I love to cook and baking sweets is my favorite!!! I love the beach, but we spend a lot of time in the mountains! I am a cancer survivor and I treasure every day that God has blessed me with!! !